The Romantics valued nature, spontaneity, visionary experience, powerful feeling, and the artist's individual response to the experience of life. 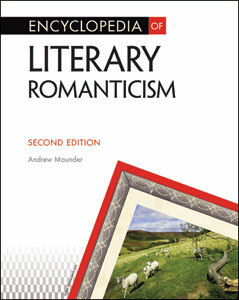 Encyclopedia of Literary Romanticism, Second Edition provides a comprehensive A-to-Z guide to the Romantic movement, including such great writers as William Wordsworth, John Keats, and Mary Shelley. Entries cover poets and novelists, literary works, historical and cultural topics, and more, ranging from the 18th-century precursors of the Romantics, such as Thomas Gray, to the six poets traditionally regarded as the chief Romantics, to mid-19th-century Victorians often regarded as late Romantics, such as Elizabeth Barrett Browning. This new revised edition contains a number of important updates reflecting recent scholarship, including new entries on the poems "To a Lady with Some Painted Flowers" by Anna Barbauld and "On Another's Sorrow" by William Blake. Important literary genres and sub-movements, such as the Gothic novel, historical fiction, and the "Lake School"